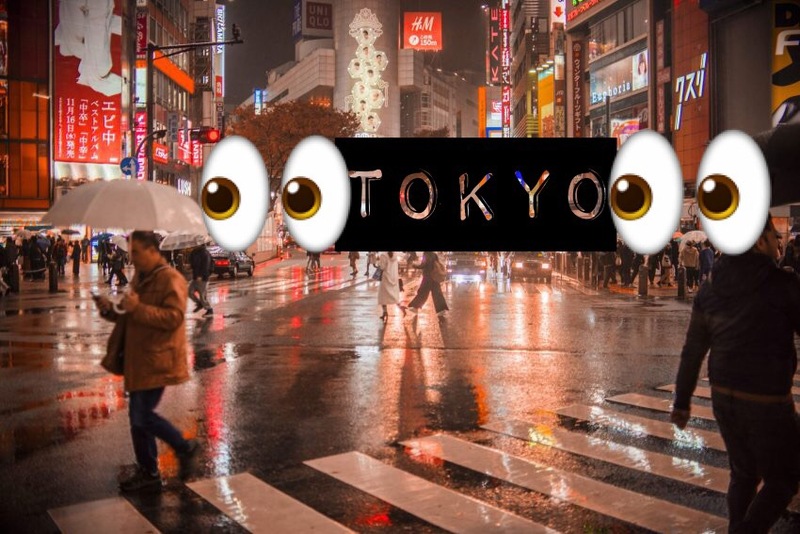 TOKYO — Although Japan is not without its faults, it is nevertheless an incredibly efficient and easy-to-live-in country, and we’ve discovered that there are numerous things that the Japanese get not just right, but awesomely right. 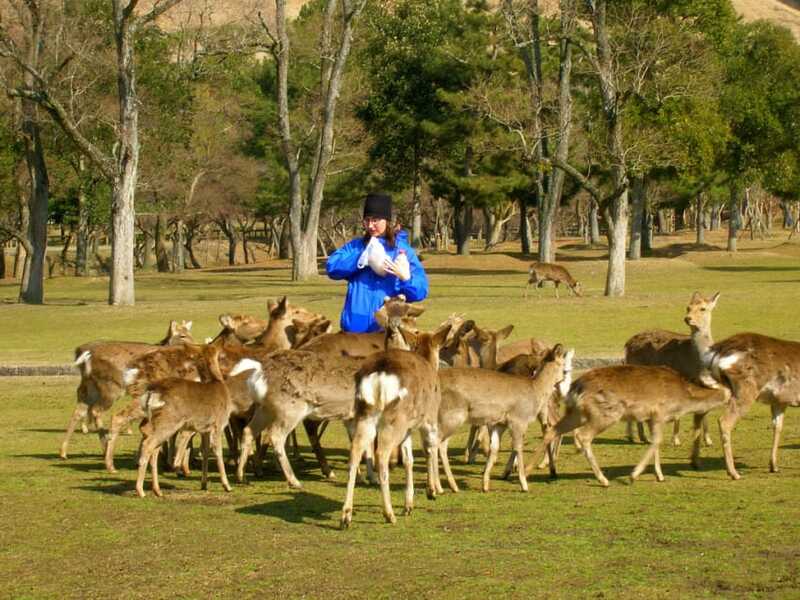 If you’re looking for something to quench your thirst – whether hot or cold – you rarely have to go more than a few hundred meters in any direction in the city. Canned (black, white, extra milk, iced, low sugar, no sugar, extra sugar, fat-reducing) coffee, tea, green tea, barley tea, sports drinks, hot chocolate, soda, beer, fruit juice, raspberry jelly, even bread and stew; if it can be packed into a can you can find it in a Japanese vending machine somewhere, and it’ll usually cost you no more than 120 yen for a big can of the stuff. 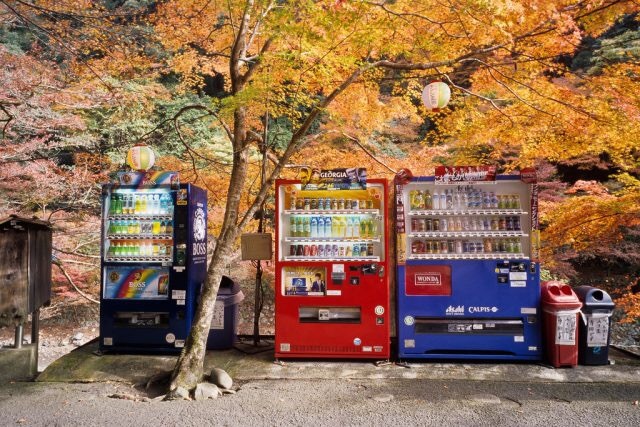 Many vending machines in Japan even give customers additional incentives to use them, with LCD panels displaying a row of numbers after each purchase–get three sevens in a row and you win a free drink of your choice! And newer machines are completely touch-screen operated, with their contents displayed as animated images–perfect for the iPhone generation. 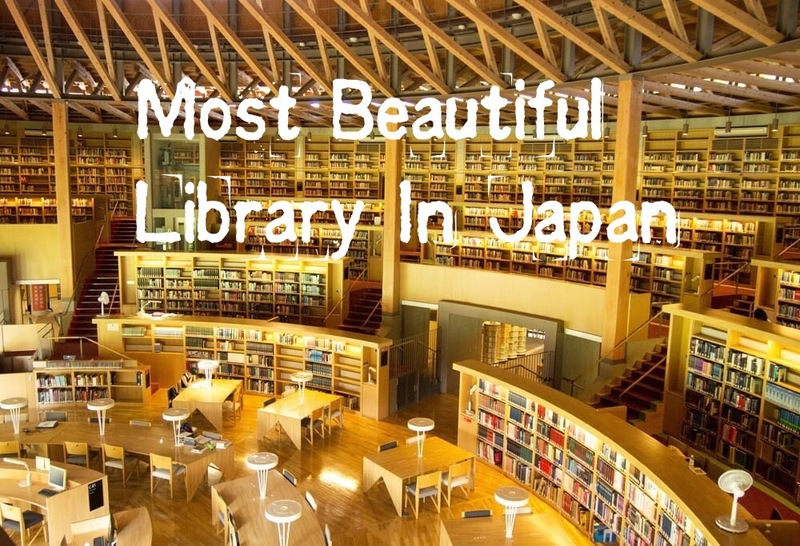 Was there ever any doubt that Japanese cuisine would make the list? 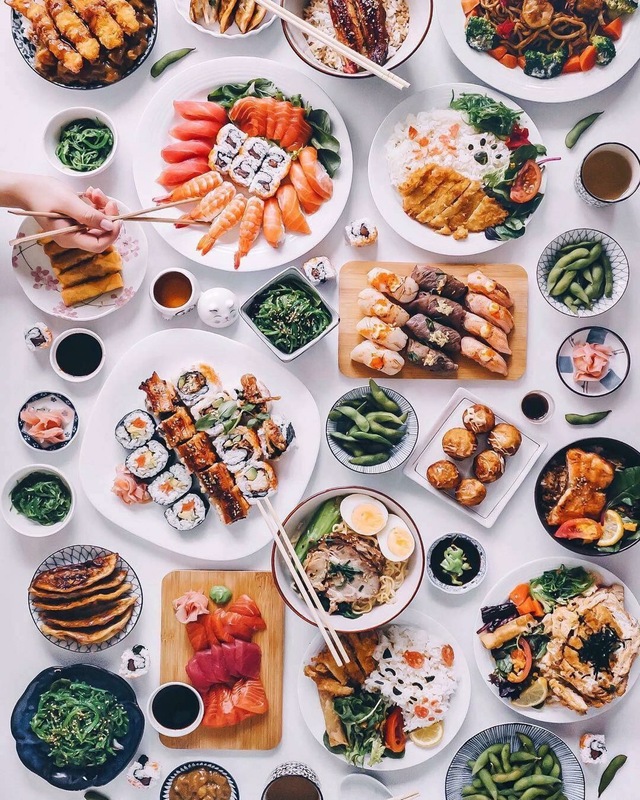 Admittedly, there are odd dishes like raw horse meat and fugu, a fish that may or may not kill you if not properly prepared, but the vast majority of Japanese food is simply superb, and we’re not just talking about boxed lunches crafted to look like Pokémon characters. Basically big bowls of fluffy white rice topped with anything from strips of marinated beef and pork to kimchi and raw tuna. 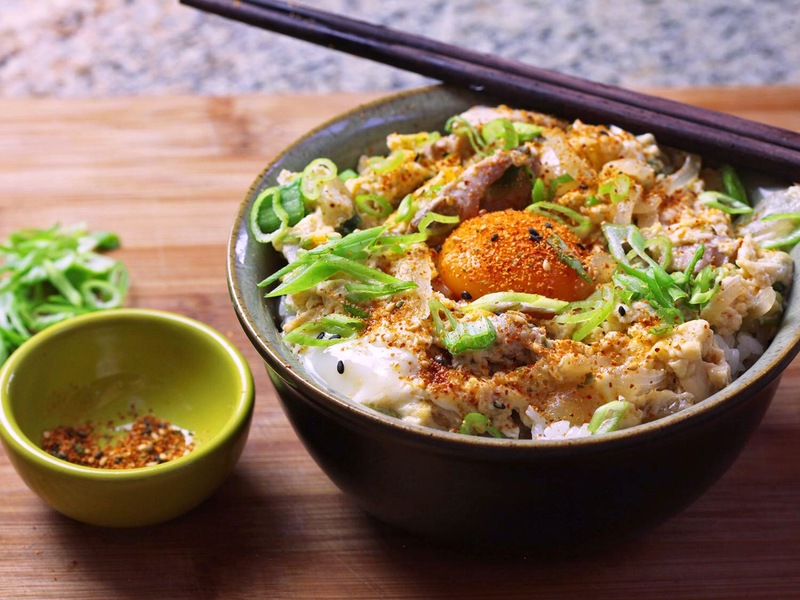 Donburi is true soulfood – hearty, filling and extremely moreish. The donburi that most people come into contact with is that of fast food-style restaurants like Yoshinoya or Sukiya, and they’re certainly decent for the price you pay, but there are plenty of outlets that charge a little more but pour their heart and soul into this simple yet supremely tasty dish, so be sure to track one down if you visit Japan. 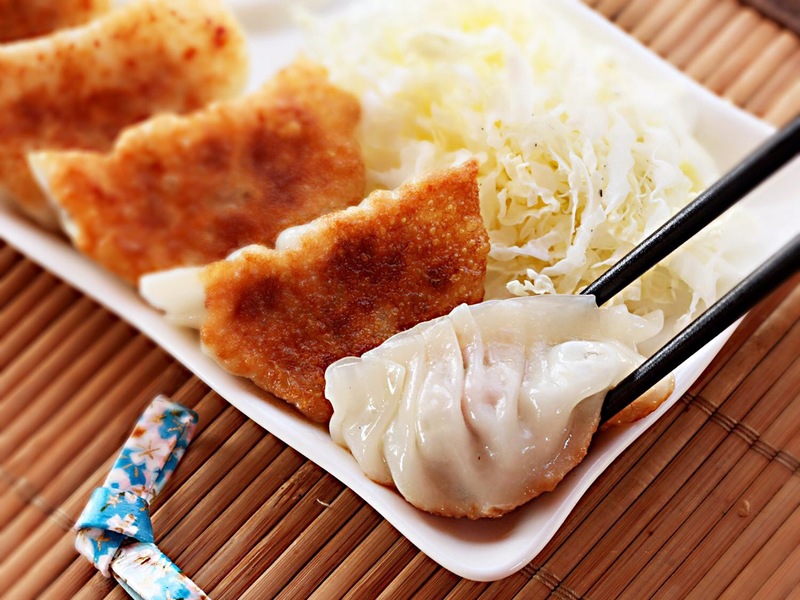 Japanese gyoza may be considered a little unrefined by Chinese standards since they are most often fried, but we simply adore them. Massively moreish and available in dozens of varieties, these little dumplings are simply to die for and we’d happily munch on them every single day if it weren’t for the large amounts of garlic and nira chives contained within them that would make us entirely repellent to everyone around us. Yes, it’s simple and you can buy this stuff as an instant, “just add hot water” mix, but a good bowl of homemade miso soup has almost magical properties. It also makes a great hangover cure (trust us, give it a go the next time you’re feeling a little fragile after one too many glasses of Babycham!). Often described as a savoury pancake or “Japanese pizza”, this is essentially batter made from shredded cabbage, flour, eggs, grated nagaimo (yam), and water or a little fish stock. Ingredients – literally “whatever you want”, which is where the name okonomi (as you like) yaki (grilled) comes from – are mixed into the batter which is then poured onto a hotplate, shaped into a flat, circular shape and cooked through. 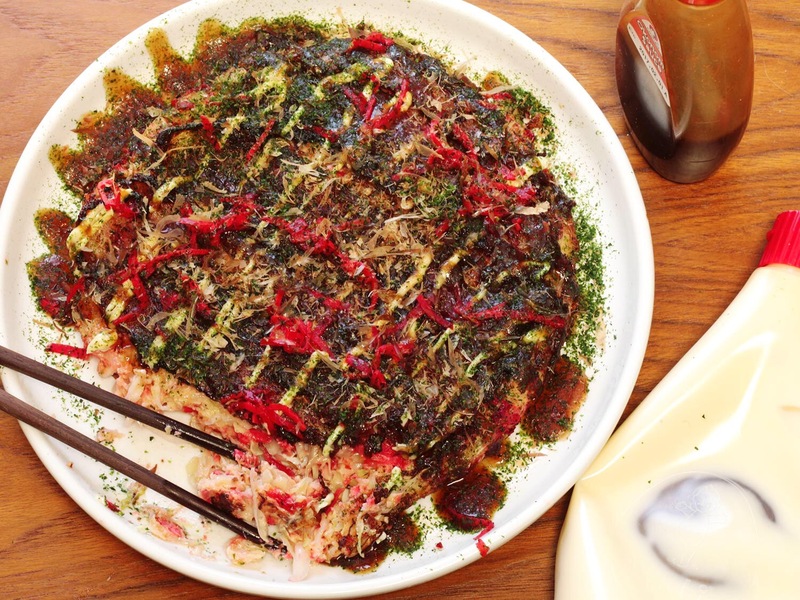 Topped with anything from mayonnaise, sweet barbecue-style okonomiyaki sauce, dried seaweed, and shaved bonito, okonomiyaki is a fantastically tasty and filling dish that’s meant for sharing and playful experimentation. Believed to have originally been a Chinese dish, ramen – noodles in soup with toppings – now exists in hundreds if not thousands of varieties across Japan’s 47 prefectures. 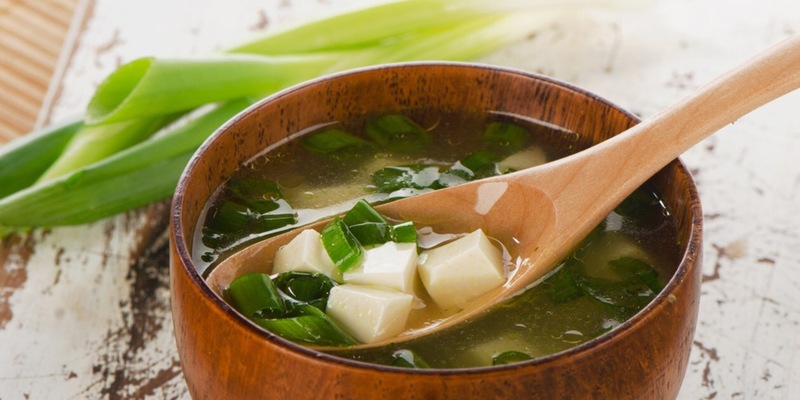 The soup is usually soy, salt, miso, or tonkotsu (lit. 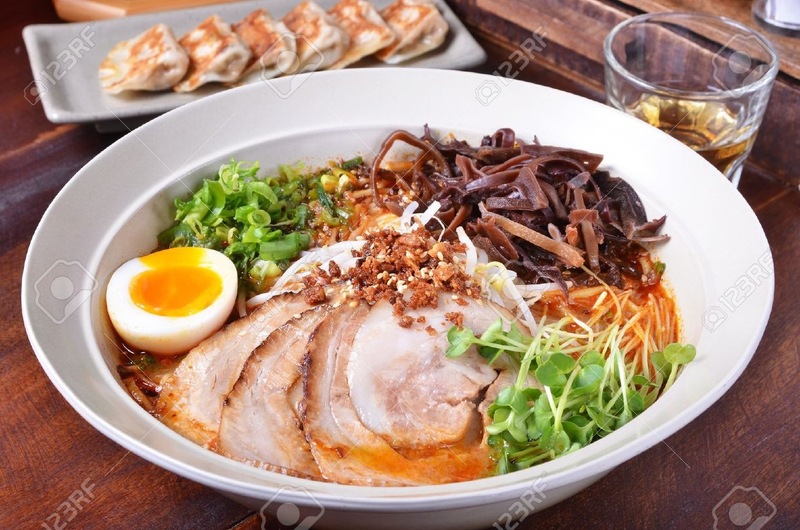 “pork bone”) based and ramen fans each swear by particular varieties, although Fukuoka’s Hakata ramen, a pork-bone broth with relatively straight, firm noodles, is perhaps the variety best-known outside Japan. 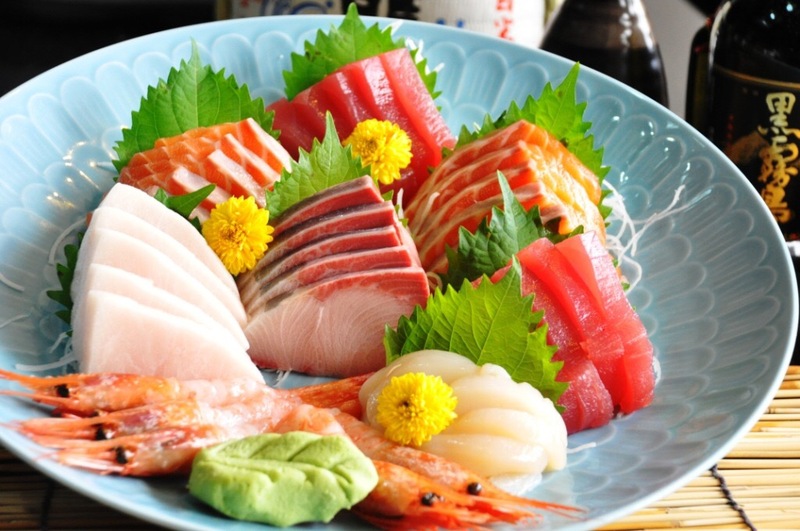 Strips of raw fish, usually served with wasabi and soy sauce. 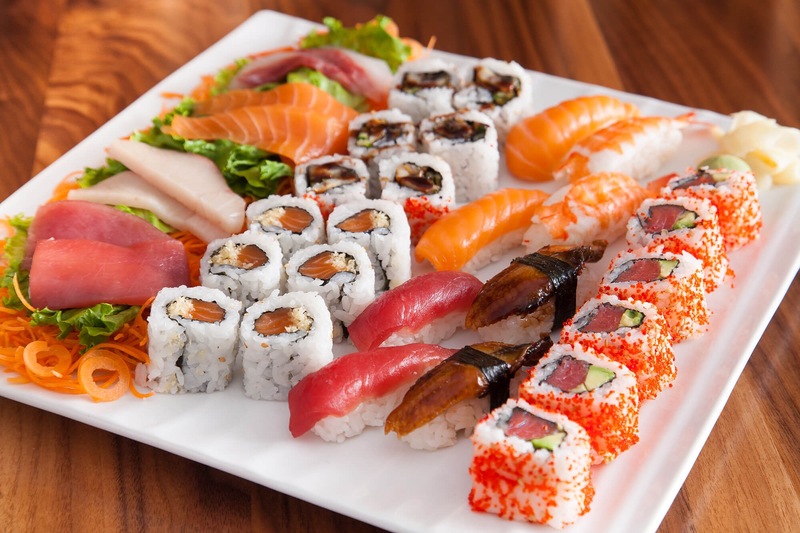 Not to be confused with sushi (see below). 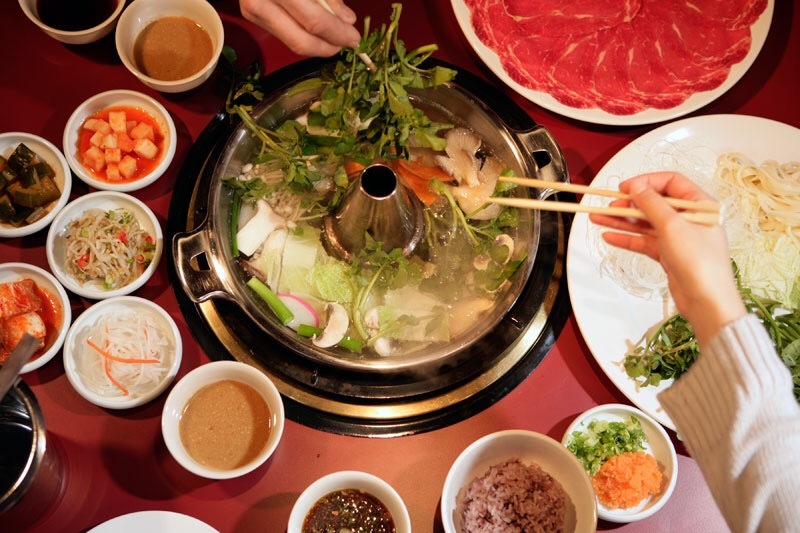 Another dish that’s often enjoyed socially, shabushabu is basically vegetables and wafer-thin strips of raw meat cooked (by the diner) in a very light stock. The meat is so thin and the stock so hot that it cooks in mere seconds, and tastes absolutely wonderful, especially dipped in some goma sesame sauce. Perhaps Japan’s most famous dish, sushi is vinegared rice either topped with or wrapped around “neta” ingredients like fish and vegetables. Even cheap conveyor-belt sushi is good, but sushi made by chefs who have trained for decades and use only the finest ingredients is nothing short of divine. Tiny little balls of tasty batter with a piece of octopus in the middle, cooked in a special hotplate and served with a rich sauce, mayonnaise and flakes of “aonori” dried seaweed. These things can be mercilessly hot when eaten straight off the teppan, but we always stuff them straight into our shout holes regardless. 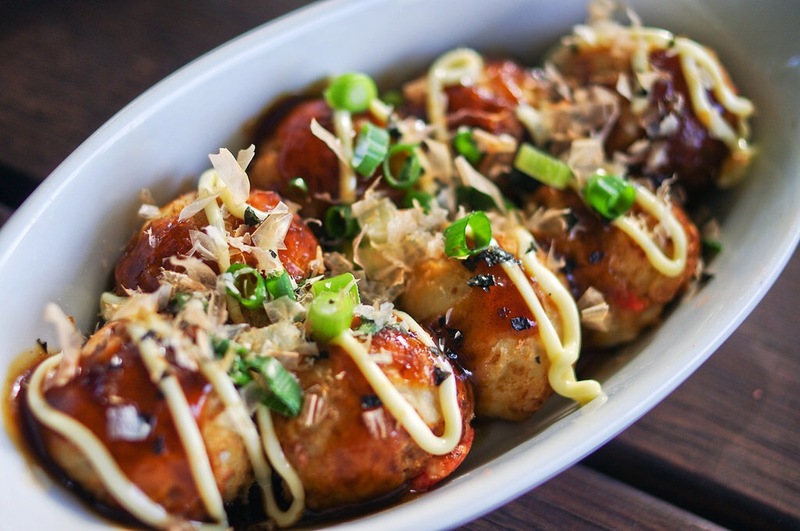 Oh, that devastating, delicious takoyaki tongue burn! 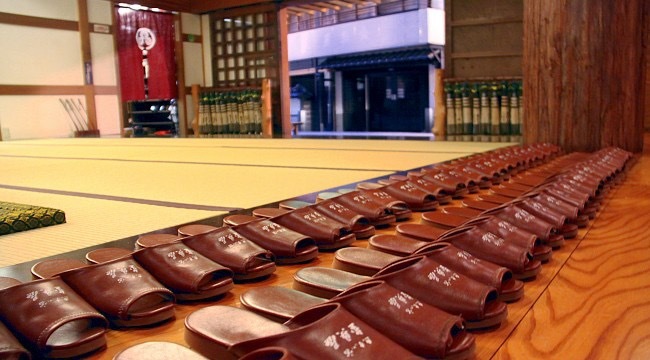 As most of you will already know, in the majority of Japanese homes – and also in schools and some clinics – people remove their outdoor shoes before entering the building proper. 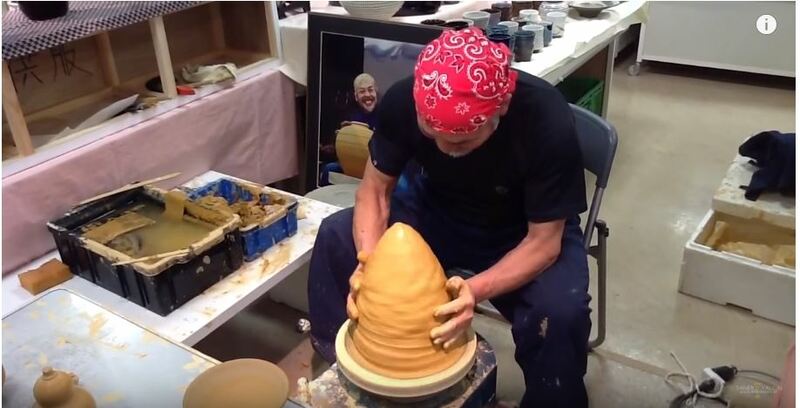 This practice is not unique to Japan, of course, and the “true” reason for doing this differs depending on who you ask, but most agree that the Japanese desire to draw a clear line between the clean uchi (inside) and dirty soto (outside) is the main driving force behind this. The idea that the inside of the home should not be unnecessarily dirtied is also reflected in the layout of a typical Japanese bathroom. Just as how one showers before entering the bath in Japan (after all, why sit in water containing the day’s grime?) and the tub kept spotlessly clean, the toilet is usually found in a room completely separate to that containing the bath and shower. Why? Because the toilet is pretty much the “dirtiest” place in the house, while the bath is where one purifies one’s body. 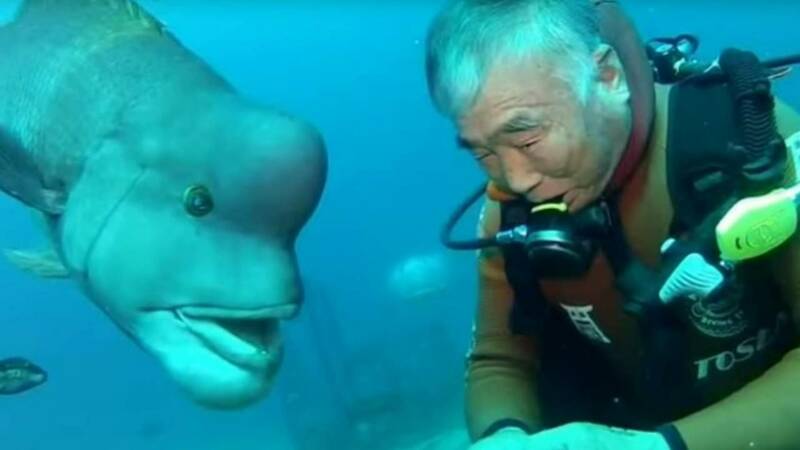 In the Japanese mindset, the two simply do not belong together, and we can’t help feeling they’re on to something with that idea. Of course, walking around the house in slippers, stockings or going barefoot has the added bonus of keeping noise levels down – which is important when your walls are paper-thin and/or you live in close proximity to others – but when you think about where your shoes have been as you walked about town, stepping in puddles and maybe even gum, spit, dog pee (or worse), and dirt in general, it makes sense that you should leave all that outside by stepping out of your shoes at the genkan entryway. This practice can be a little annoying at times, especially when you lace up your shoes, step outside and then realise you’ve left your phone in the living room (which means repeating the process all over again or doing that weird “walking on your knees” circus act we briefly see the character Satsuki do in the Studio Ghibli movie “My Neighbor Totoro”), but after being exposed to Japanese customs we’ve come to think that wearing shoes inside the house makes about as much sense as taking all of your carpets and furniture outdoors and expecting it to stay clean. 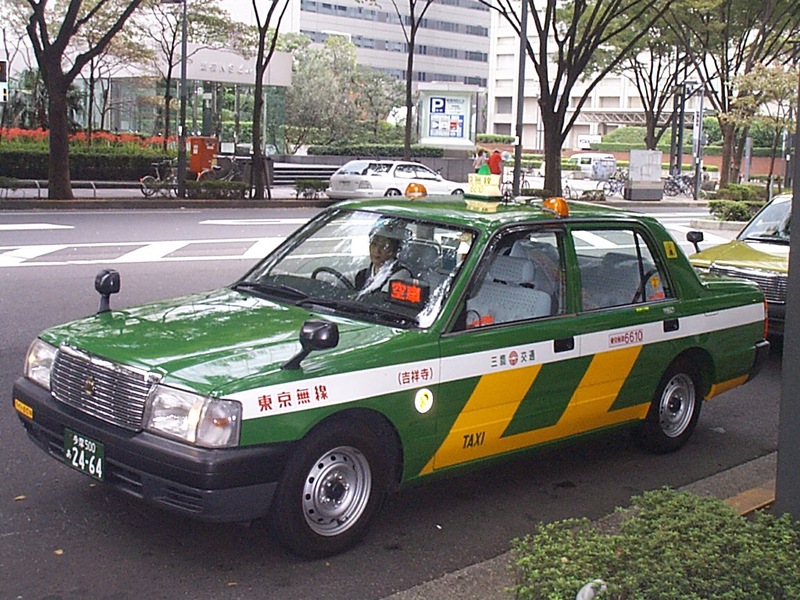 Anyone who has ridden in an inner-city taxi in Japan will know that they’re far from cheap. So you might well be wondering how on earth these things made it into our top 10 list. Three words: automatically opening doors. Hail a cab at the side of the road and after it comes to a halt, the kerbside passenger door will automatically open for you. And not just unlock and open by a couple of inches, but swing out completely so that passengers can slip in while carrying their bags, kids, girlfriend, whatever. Once you’re safely inside, the driver uses a lever to close the door after you. It’s a very small gesture, but it makes a world of difference and makes you feel like a minor celebrity, even if you are entering the taxi covered in baby vomit or have been caught in a sudden downpour. Coming from the UK where they are usually seen as something of a last resort for grocery shopping, my only experiences of convenience stores were midnight visits to buy toilet roll or milk, and perhaps to make ill-advised alcohol purchases after a party has gone on too long and it was decided that doing whiskey shots would in no way be a terrible idea. Everything is expensive (you’ve gotta pay for that convenience, right? ), many of the patrons look remarkably unsavoury (my drunken, early-twentysomething self included), and the staff rarely seem to want to be there any more than the customers. 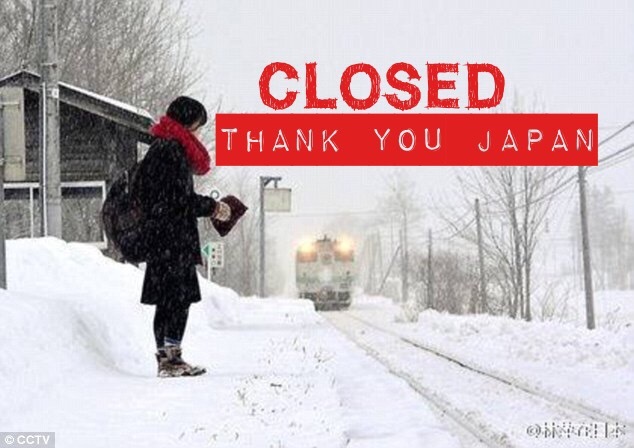 Not so in Japan. 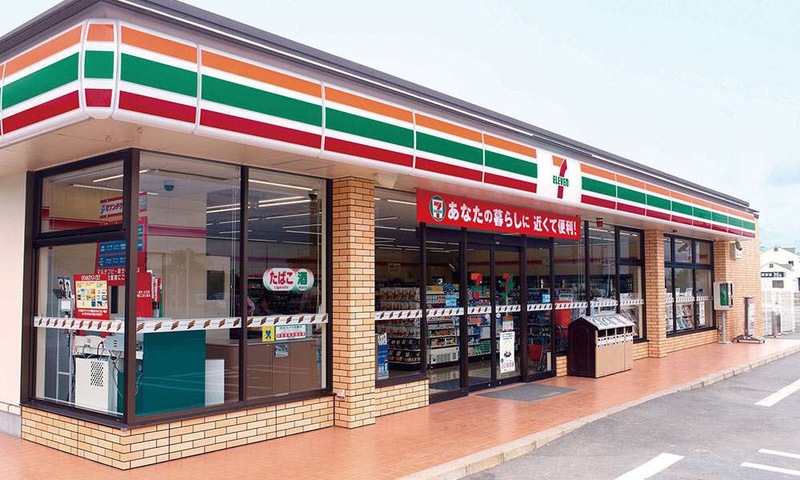 Convenience stores – 7-Eleven, Lawson, FamilyMart, Mini Stop, even the littler guys like Save On and Coco – are all kinds of wonderful, and they’re absolutely everywhere. 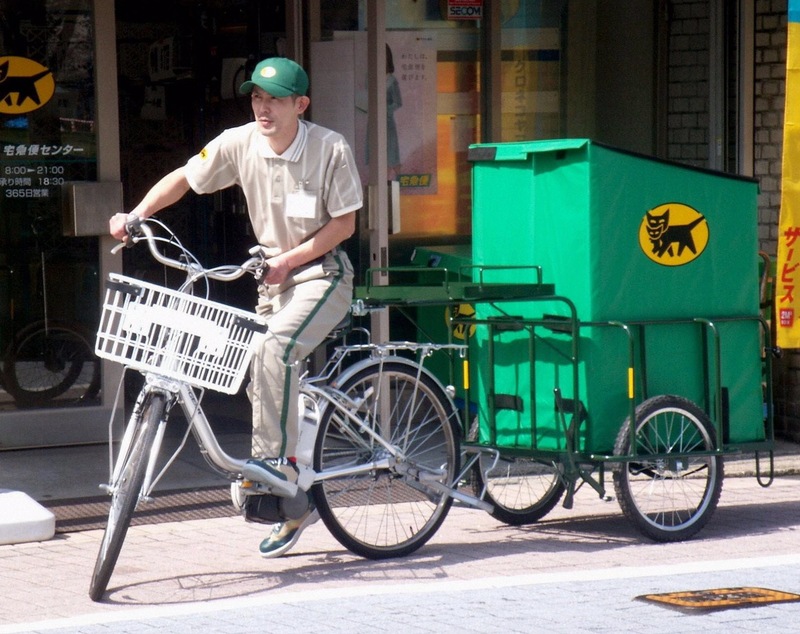 You can take a package to your local convenience store, have them measure it, slap a delivery label on it, and the courier service (usually Yamato, or “kuro neko”) will pick it up from the store and deliver it for you. 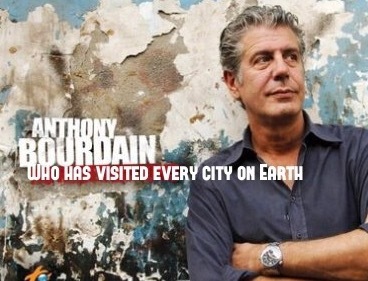 And the rates are surprisingly reasonable. You can even arrange for luggage to be dropped off and kept safe. Want to pay your gas, electricity, internet or mobile phone bill? 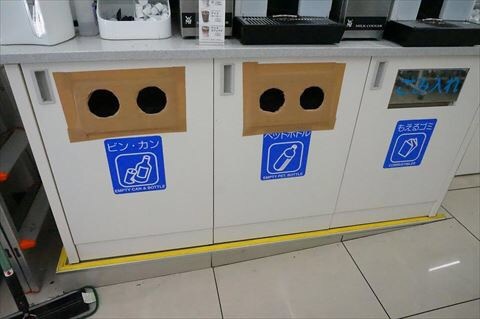 Take it to the konbini (the common term for convenience store), hand them the tear-off slip with your cash and they’ll process it for you in seconds. Et voilà! Your lights will be back on in no time! Depending on which convenience store you visit, you can use their ATM-style machines to look up and reserve things like plane, concert and theme park tickets, receiving a printout and then paying at the counter. 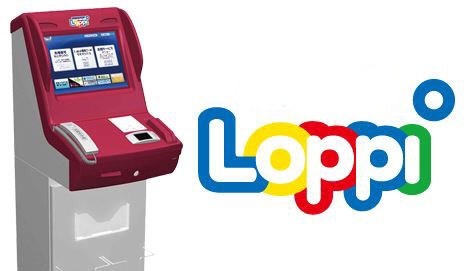 You can even shop online at websites like Amazon and Yodobashi Camera and, provided the site you’re using offers “konbini barai” (convenience store payment), after entering your unique code at the machine simply hand over your cash to the clerk. No credit card required. Even if you don’t have a USB pen to take with you, log in to the convenience store chain’s online printing service and save your document there. You’ll receive a passcode which you enter at the store’s printer, which (after you slot in a few yen) will spit out your documents. You can print anything from whole web pages to essays written in MS Word. Oh, and let’s not forget that you can also buy food, beer, whiskey, wine, light bulbs, DVDs, video games, newspapers, magazines, cat food, hot baked goods, seasonal stews, fresh coffee, point cards for Amazon, iTunes, and Nintendo and Sony’s online stores… the list is endless. Convenience stores in Japan: Actually convenient. Japan may well be a little on the wasteful side, throwing out startling amounts of perfectly good food every single day and sealing consumer products in way too much plastic, but we have to admire their system for garbage collection and disposal. This of course varies from town to town, but most cities require residents to sort their household waste into distinct categories: burnables and raw waste, plastics, PET (plastic drinks) bottles, glass, aluminium cans, paper and cardboard, and so on. But how can refuse collectors be sure that people are sorting their waste properly? Surely any joker could just stuff all of their trash into the same bag and sling it out on collection day? Well, most of the bags are either clear or thin enough to see through, with different coloured print on them denoting exactly what can be put inside them, with each kind of rubbish collected only on certain days. Trying to throw away kitchen scraps in a bag meant for cans? Tut tut. You might get lucky but often it’ll be left behind and marked with a sticker asking you to use the correct bag (and all your neighbours will secretly judge you). But it really doesn’t make sense to try to cheat the system, especially when some towns (each sell their own refuse bags in local supermarkets and, of course, convenience stores) even encourage proper recycling by making bags for the likes of cans and plastics cheaper than more general “burnable” waste bags, so it pays to be green. 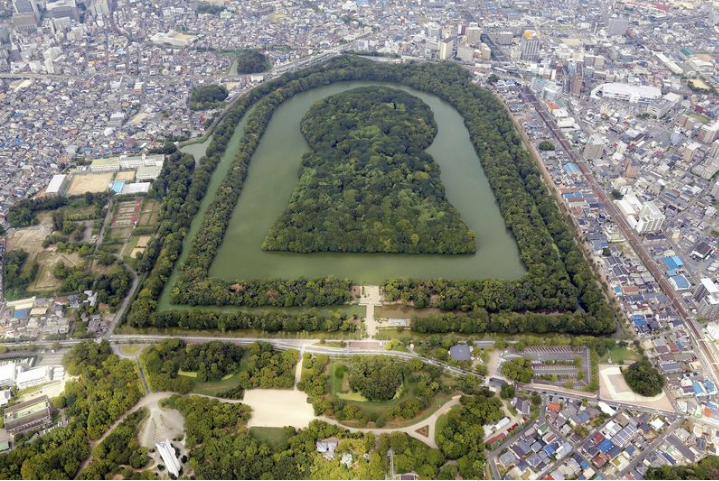 Japan still has to mend its wasteful ways, but its approach to refuse management is definitely a step in the right direction and one that many countries could learn from, so we’re all for that. 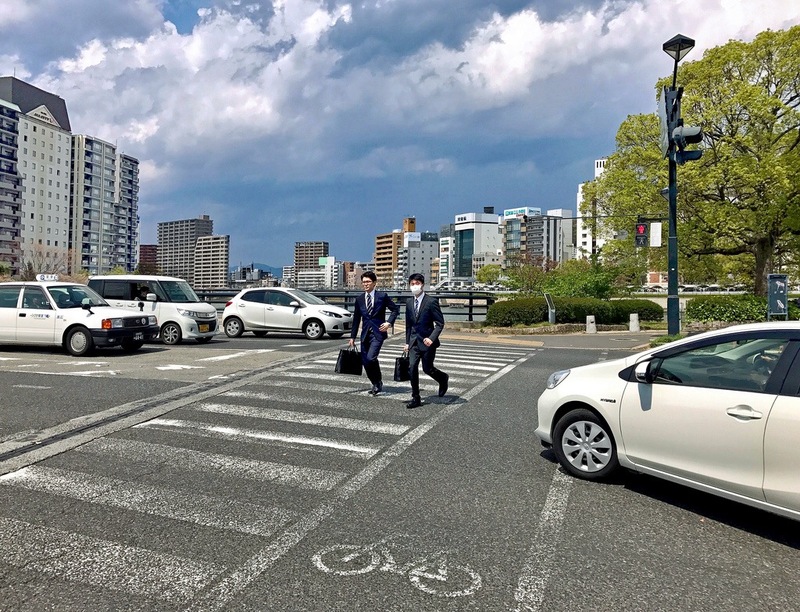 Yes, we moaned in our previous article about how set in their ways the Japanese can be, and how rules here are made to be kept, not broken, but we appreciate that without this fondness for law and order things in Japan simply wouldn’t run as smoothly as they do. People here take punctuality extremely seriously, and it is considered common sense (and courtesy) to arrive a good ten minutes early for meetings, regardless of their nature. This may be a little too regimented for some, but in short this is part of why stuff here works as it should, and you can rely on pretty much any service running according to schedule. There are times when delays are inevitable, and even Japan’s über punctual rail network may fall a few minutes behind, but you can be sure that if that happens their operators take it extremely seriously, and you can expect both earnest apologies and a member of staff handing out “proof of lateness” slips to passengers at the ticket gate so that they can show their boss that it was in fact the train company’s fault they were five minutes late, and not their own. If you arranged for a package to be delivered by a certain time, it’ll be there. And if it’s not you’ll very often get a call from the delivery guy himself apologising and informing you of the fact. Pizza due to arrive by seven? Make a space on the table by 6:45. If your phone service operator promised you that an engineer will call on a certain day at a certain time, 99 percent of the time that’s when it’ll be. You have to admire that kind of dedication to timekeeping. We admit that this perhaps blurs a little with our last point, but there’s something inherently awesome about having the staff at McDonald’s treat you like royalty even when you’re too stingy to drop an extra few yen to make your hamburger a cheeseburger and choose a cup of water over a Coke. 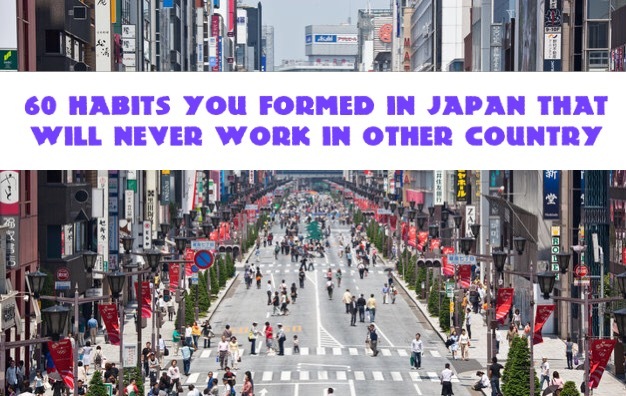 Yes, as in every country, there are a handful of twonks who let the side down, but if there’s one thing you can say about the Japanese it’s that they really know how to look after customers. From hotels to fast food joints, customers almost always receive polite greetings and smiles. Keigo (honorific Japanese) is routinely employed and staff are quick to find something to apologise for even when it’s clear that the customer is, in fact, in the wrong. Have a problem at the bank or post office and staff will do their best to find a solution for you rather than simply apologising and trying to move on to the next customer. And at some petrol stations, or gasorin sutando as they’re known, having wiped down your windshield, run a cloth over your wipers and asked if you have any garbage you’d like thrown away while they pump the gas for you, attendants will stand at the edge of the forecourt and bow as you drive away, only lifting their heads once you’re several car-lengths away. There are times when we almost wish they’d relax a little (staff carrying your purchases to the threshold of their shop in a department store and thanking you repeatedly for your patronage can be a little disconcerting for those of us who grew up eating alphabet spaghetti and fluorescent pink pudding), but on the whole it’s fantastic to see so many people taking their work so seriously. 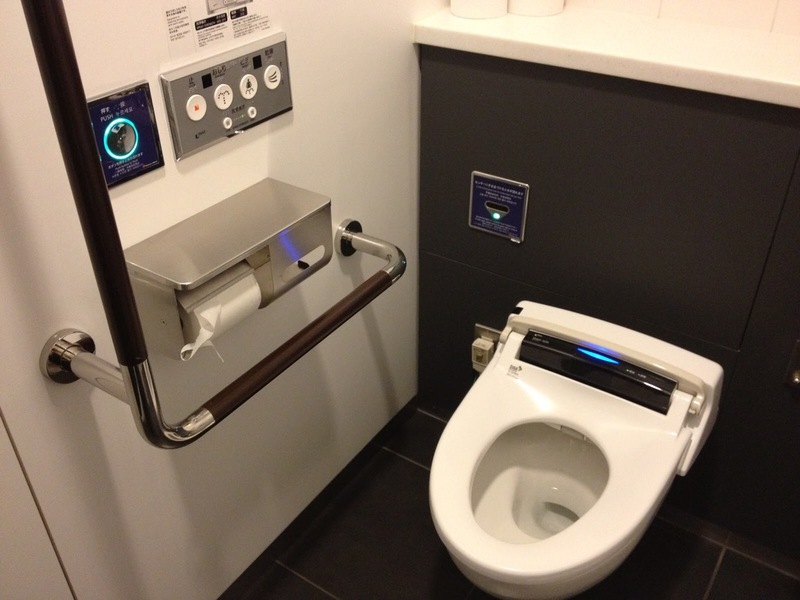 Ask someone to list a few things that define Japan, and “space-age toilets” will almost definitely come up eventually. And they truly are things of tremendous technological achievement. Heated seats, not one but two spray functions whose pressure, warmth and direction can be controlled, ambient noise to mask any embarrassing bottom burps, lids that open automatically as you enter the room as if to say “Are you sure you don’t want to do a little one?” and multiple flush options make going to the bathroom in Japan an adventure in itself. There is plenty to be said for the health benefits of old-school squat toilets – and they still exist in their droves even amongst their gadget-riddled brethren – but with so many buttons and dials to tinker with, who would want to miss out? 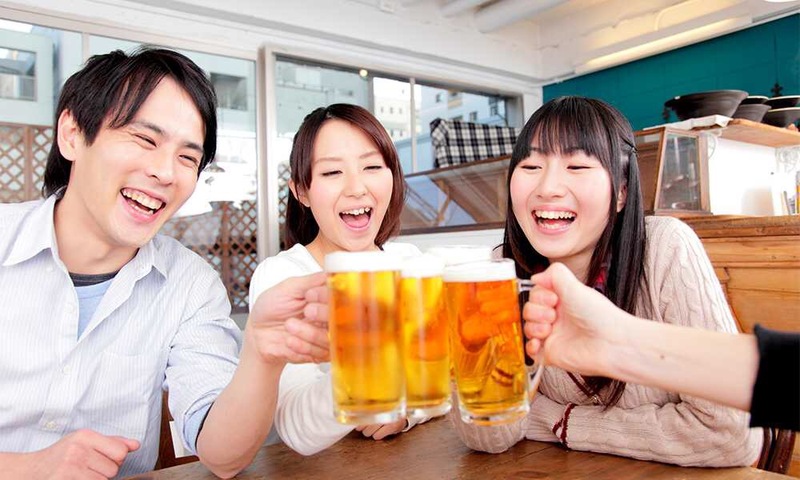 The imbibing of alcohol in public places may be frowned upon in some countries, and completely illegal in others, but in Japan it’s considered perfectly OK to crack open a beer in the park, or on the street or bullet train (though food and drink in general are a no-no on most regular trains). Perhaps after putting in so many hours of overtime, people here feel it is their God-given right to enjoy a cold one? 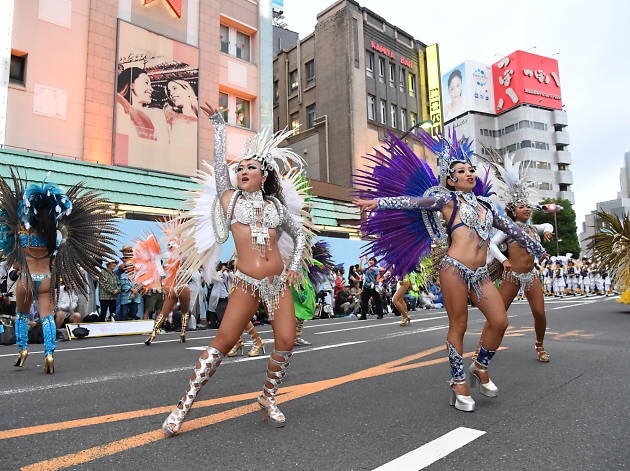 Perhaps it’s simply that so few Japanese make a nuisance of themselves and get violent after drinking (if anything, a sudden onset of red-faced sleepiness is usually the worst they have to fear)? Whatever the reason, no one bats an eyelid at the sight of someone strolling down the street or sitting on a park bench with an open can of Asahi in their hand, and it’s thanks to this relaxed approach to public drinking that parks all over Japan are filled with revellers (and this includes entire families rather than just rowdy students), eating, drinking and enjoying the beautiful cherry blossom during hanami parties every spring. No brown bags or secret slurps in Japan – it’s beer cans and cheers of “kanpai” as and when you see fit, and we think that’s pretty great. 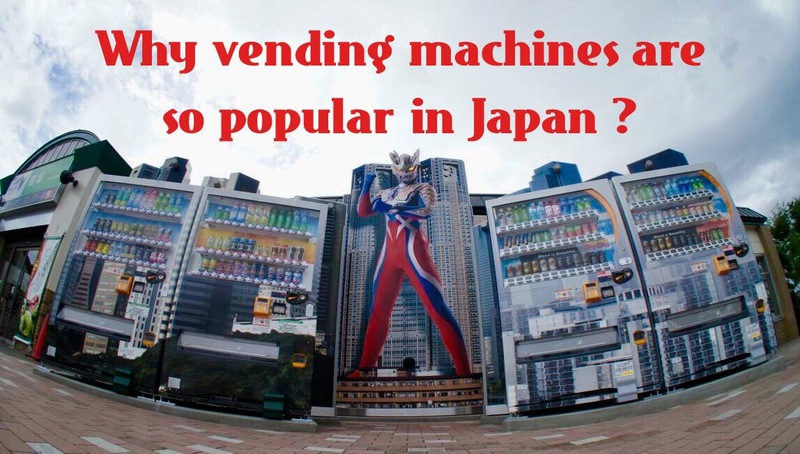 Why Vending Machines Are So Popular in Japan ?